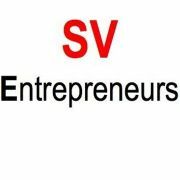 You may have heard that Silicon Valley Entrepreneurs (SVE) is hosting the largest event (The Funded!) to date on June 17 with over 1,000+ attendees & 100+ startups. There will be top speakers, global investors, complimentary food and drinks, and a huge networking party! The conference will be closing with a job fair for startups from 6-8PM. So, if you are looking to add members to your team to help you change the world, please fill out this form to apply for your *free* recruiting table! We will be accepting applications until our 50 tables fill up so make sure you get your info in fast. Don’t forget to post your jobs on SVE’s job board! A list of all current open positions will be included on SVE’s promotional materials for the conference. P.S. Even if your startup is not hiring, we would still love to see you at the conference! All you need to do is RSVP on Eventbrite for your free ticket.